who deserves to be recognized! 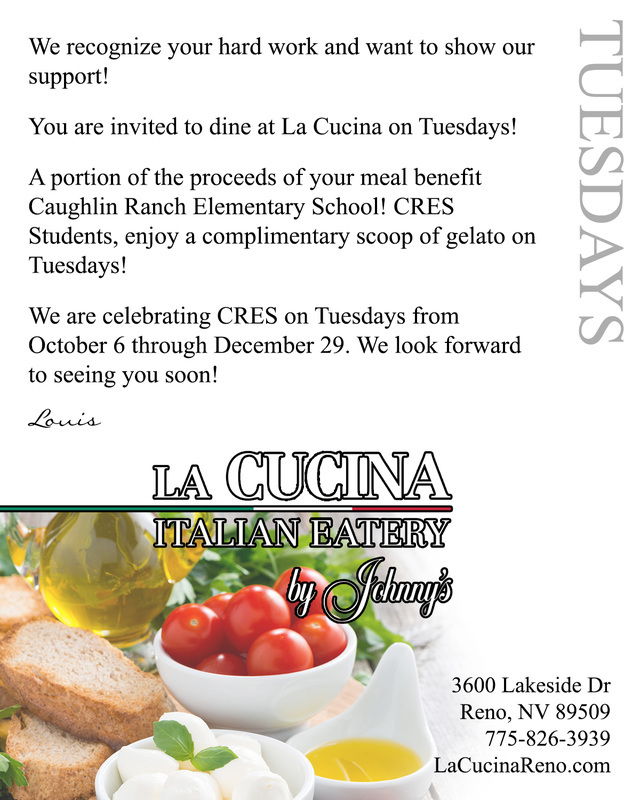 La Cucina wants to show its support for your hard work at CRES! We want to display student and teacher work on our Facebook page as part of our way of showing the community just how great CRES is! You may submit art work, student writings, and insights about students, teachers, parents and staff! Not sure what to share? We would love to hear about your students' favorite thing to put on spaghetti, what they would do if the world was made of gelato, and their favorite dinner time ritual. Thank you so much for everything you do for our community! Please let us know if there is something specific we can do to support you and your classroom.